I lived in this Wedgwood house my senior year at University of Washington. “I’m not hanging up until you schedule the service date,” I said to a vendor at my tech job. My colleague gave me a thumbs up. Years earlier, at my very first office job, working with some of the most powerful Jewish lawyers in Seattle at only 17 years old, I learned a powerful skill: never hang up the phone until you get what you need. My job was to get information from general contractors to protect our sub-contractors in the event of a lien. At a very young age, I had to develop sophisticated persuasion skills. In the beginning, I’d slump over to my boss, “I couldn’t get it.” He’d reply, “Call ‘em back” without looking up for his computer screen. Somehow I got the nickname “Office Bulldog” which I loved, don’t worry! I even had it printed on my business cards! I liked having a whacky job title. Labels have always made me very uncomfortable. I rarely called myself vegetarian even though I didn’t eat meat for 25 years. I dislike the word “wife” immensely. I’m know people are curious about my orientation - ha! you’ll have to stick around for the deep dive on that one - but frankly, I think I’m getting rid of that label too. I hate being boxed in. 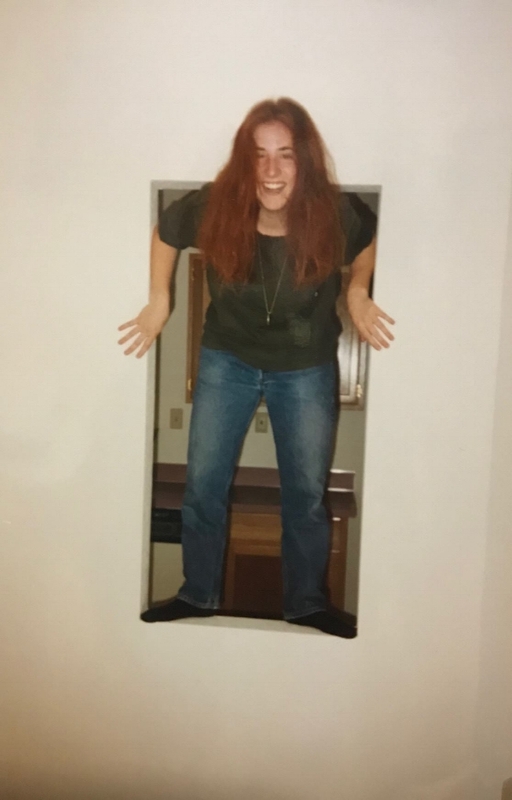 I hated how people made assumptions about me based on my long, red hair and my body for years. It was maddening! It is so strange to me that people make assumptions about my family’s financial situation simply because I’m Jewish and my working-class parents were smart enough to buy a house on Mercer Island in 1984. SO. MANY. ASSUMPTIONS. I think one of the reasons I loved New York City so much is that I could be anything, any time. I could dress edgy and head to a club in Brooklyn. I could wear something funky to attend an art show. Anything was possible. We judge SO much based on exterior in our culture! If we “have it all” then we can’t possibly be suicidal. Why is it so hard for people to understand that my insides can be a mess and my mind can be shaky, but I can look perfectly fine on the outside? Some of the lamest people I’ve ever met had beautiful exteriors. They seriously had sub-par personalities, no sense of humor and minimal intelligence. And yet they thought they were the BOMB. The person in the White House is shallow, judges people based on their looks. Makes assumptions about people based on very little information. Dismantling stereotypes is deep work. Taking time to get to know a person - who they REALLY are - takes longer than a right swipe. Blech!!! I was looking through old photos last night and MAN, I was miserable when all the cancer started growing around age 38? 39? I felt SO. MUCH. PRESSURE to conform by then!! But I couldn’t be honest with myself or others about how confused I was about what I wanted. The Patriarchy. Boxing us in. Telling us what we are *supposed* to be. It’s toxic for everyone. Even for the rich and famous. We can’t heal what’s wrong on this country until we learn how to remove the labels. From ourselves. From our children. From our friends. Good starting point for this next chapter. Because never again, do I want to be boxed in or labeled. I’m just Jules. Take it or leave it.